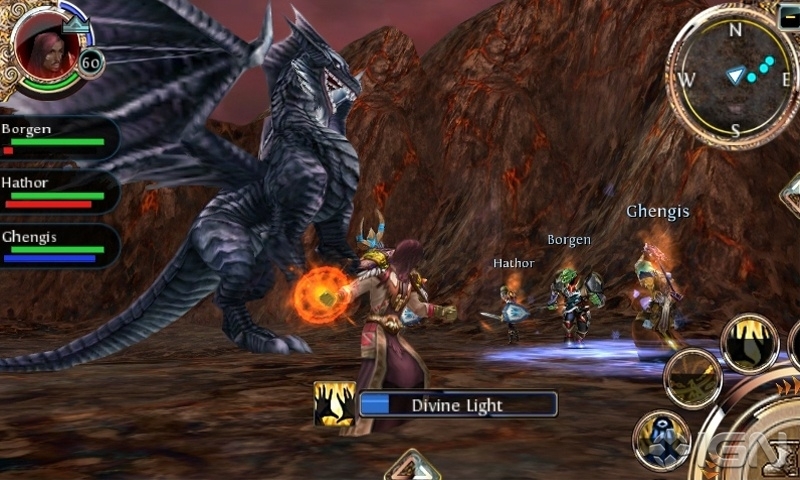 Which Mobile MMO Is Right For You? How do you choose the best MMO for your play style? Let us help you out! MMOs are a time sink, sure, but being able to take them on the go as you're traveling or even on the commute to work is an enormous boon. But with the veritable cornucopia of titles available, how do you know which one to settle in with? With free-to-play games gone rampant and new releases every week, which one is the best for your tastes and play style? We've got a few tips below for you to go by when hitting the App Store or Google Play Store in the future. You'll be selecting games like a pro in no time, but don't take on too many at once. 1. Determine whether you're into soloing or playing with others (PvP). Are you someone who enjoys questing alone or do you prefer raiding with a group of other players? Soloing is usually reserved for games that places less of a focus on competing or earning top spots on a leaderboard. And that's honestly the minority when it comes to the genre, given the fact that a good chunk of players are attracted to the games because of the fact that there's competition between those involved. If you're looking for an adventure you'd rather share with others, look for the terms "PvP" and "leaderboards." If you'd rather go it alone, you'll want to look for the key word "PvE" for the magic area where you'll be doing more solo tasks than anything else. 2. Choose the type of setting that appeals to you the most. Usually, choosing the terrain and area that comes with an MMO is synonymous with the kind of action that'll be taking place in-game as well. So if you want to play a game with spacecrafts and battles in the stars, choose something leaning toward a sci-fi narrative or something similar. There are plenty of dark fantasy worlds as well, so you can safely assume dragons will be involved there somehow, especially when it comes to games like Order & Chaos Online. It may seem like a simple piece of advice, but this is always something important to consider, even if you think it's not too big of a deal. You won't want to sink hours and hours of your life into something that you don't enjoy even a bit. Some mobile MMOs require a subscription fee or tons upon tons of IAPs for you to make any headway. Just the same, there are titles that don't require as much money over the lifespan of the game. You can make the decision as to whether you'd rather pay more money up front for the app, pay a subscription fee per month to keep it up, or if you're going to want to pay here and there for buffs, additional character slots, or any of the multitude of reasons you may have to pay an additional fee. This is an important caveat, so make sure you know what you're getting into before committing!